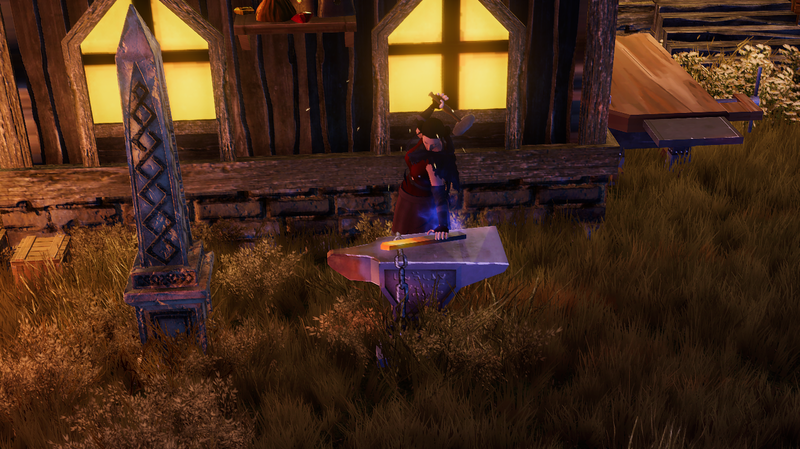 If you like to give your Blacksmithing a little nice Eye Catcher let your Anvil look like it is enchanted. 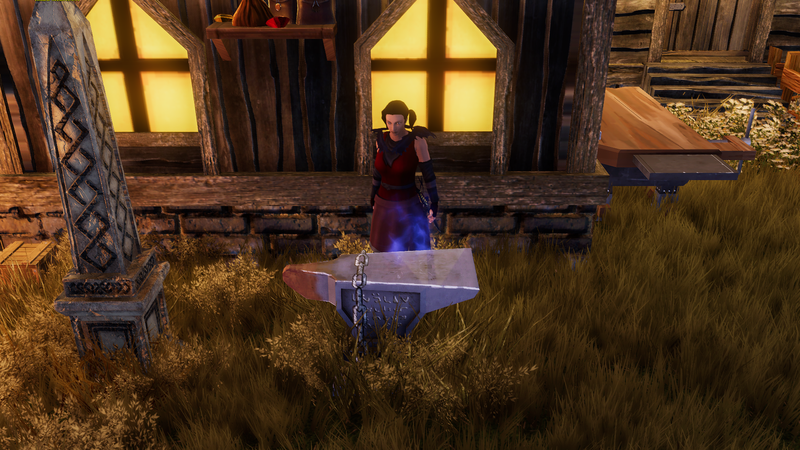 Use 2 Ethereal Bones and place them under the normal Anvil so that the glowing is still visible but the Bones not. 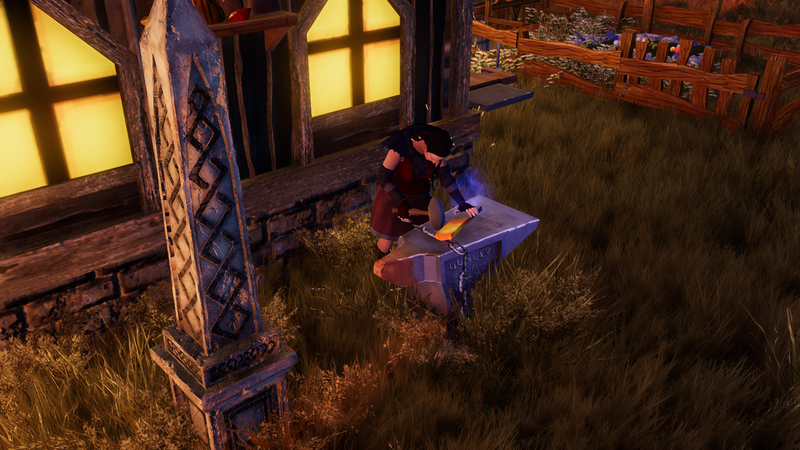 I am looking forward to players stopping when they run past our house and look why our hands are glowing during smithing.